Volunteering builds social capital which leads to stronger, more resilient communities. In addition to satisfaction for the volunteer, individuals who volunteer can help solve community-wide problems and build relationships. Additionally, volunteering has been linked to health benefits such as lower mortality rates and improved mental health. Louisville currently ranks 14th among its peers in volunteerism with a rate of 26%. The volunteer rate is calculated from American Community Survey data asking respondents if they have volunteered at least once in the past year. On this metric, Louisville ranks among the bottom tier of its peer cities according to a natural breaks algorithm. Cities in green are those that outperform their peers, cities in yellow represent the middle cluster, and those in red are a group that lags behind its peers on this indicator. 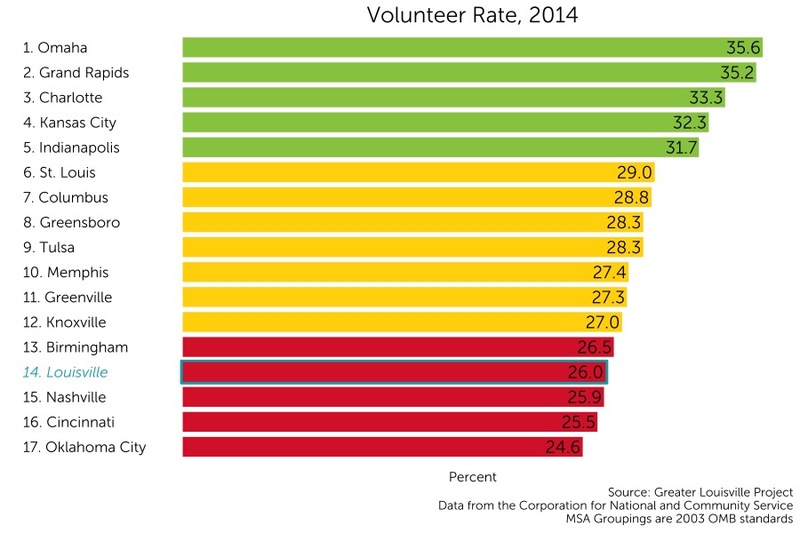 Louisville’s rate of volunteerism has slowly increased from 2011 to 2014. 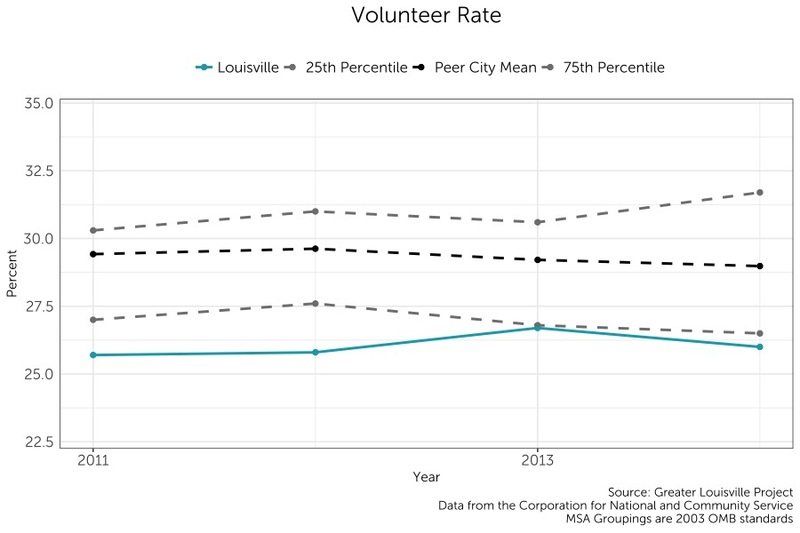 However, Louisville’s volunteerism rate is still below the 75th percentile of its peers.